Although the subject of mental health is no longer taboo, and more people than ever now turn to professionals for help with their mental health issues, there is still much confusion about the way such help is provided and the specialists that provide it. This confusion is particularly wide-spread where I am based, in Eastern Europe, where many people still assume that mental healthcare is something for grave mental disorders and a person would not go to a mental health professional unless they were “crazy”. By explaining the difference between the three basic mental health professions – psychiatry, psychology and psychotherapy – this article will hopefully help clarify matters and remove some of the doubts that the readers may have about contacting a mental health professional. 1. Psychiatrist. Psychiatry is a branch of medicine dealing with mental health. A psychiatrist is therefore necessarily a medical doctor specialised in mental health. A psychiatrist is a medical doctor who deals with diagnosing, preventing and treating psychiatric disorders or mental illnesses. Doctors, shown in films such as “One Flew Over the Cuckoo’s Nest”, working in open or closed mental hospitals, are psychiatrists. Of the three types of mental health professionals presented here, the psychiatrist is the only one who can prescribe medicines to his patients. Although a common stereotype about psychiatrists is that they are “as crazy as their patients”, this branch of medicine, and the work it entails, is extremely complex. The job of a psychiatrist in a mental health institution is highly demanding and stressful. It involves daily work with people who suffer from severe mental disorders whose manifestations are often unpredictable and can also affect physical health of the person. Such working environment can, of course, have an impact on the doctor’s own mental health: no matter how professional, every psychiatrist is also a human being faced with extreme degrees of human suffering from which it is not at all easy to disengage. Mental patients are often unable to understand or explain what is happening to them, and it is the psychiatrist’s responsibility to diagnose the nature of their illness and the administer appropriate treatment. The task is extremely challenging, given that there is no physical test that can be carried out, and the entire diagnostic process takes place through patient observation and interviews. Every psychiatrist refers to a book known as “DSM” (“Diagnostic and Statistical Manual of Mental Disorders”), which describes the symptoms of all currently known mental disorders. The disorders that psychiatrists deal with fall into two general categories known as “psychosis” and “neurosis”. Psychotic disorders are severe mental disorders that severely limit the patients’ daily functioning and often result in a distorted perception of reality, such as hallucinations, illusions, incoherent speech and thought patterns, paranoid behaviour, etc. The best-known example of a psychotic disorder is schizophrenia. The treatment of psychotic patients usually includes medication prescribed by a psychiatrist. By contrast, neurotic disorders are less severe, and include conditions, such as depression, phobias, anxiety and panic attacks. People with neurosis usually understand that they have a mental health issue, but are unable to overcome it without external help. Although neurotic disorders may require medical treatment in serious cases, they are usually (also) treated with the help of a clinical psychologist and/or psychotherapist. 2. Psychologist. Psychology is a science that studies perception, attention, thought process, emotion, intelligence, behaviour, personality types and many other aspects of human personality. Because of such broad spectre of study, psychology is applicable in corporative environment, sports, media, schools, hospitals, forensic research and many others. It is true that psychologists “analyze” people, but it does not mean that they can – as some assume when learning about our profession in a social context – explain somebody’s personality or guess their thoughts and feelings based on an informal encounter. Psychological testing normally occurs in a professional environment and follows strictly scientific procedures. A visit to a psychologist will usually involves an informative interview, followed by one or two tests used by the psychologist to arrive at the desired assessment, which can range from professional orientation to a clinical examination. Psychological tests are very numerous, depending on the relevant institution and the purpose of the examination. In short, psychologists are concerned with studying human personality at different levels and in diverse contexts in many sectors of professional activity. The difference between a psychiatrist and a psychologist is that although a psychologist may also refer to the DSM manual, he uses various tests, is not a doctor and does not prescribe medicines. 3. Psychotherapists like myself are specialised psychologists in the branch of psychology known as “clinical psychology”. Psychotherapy is the part of clinical psychology where the psychologist’s only tool is speech, i.e. verbal interaction with the client. Unlike psychiatrists, psychotherapists do not diagnose disorders or prescribe medicines. They also do not use standard tests like other psychologists. Psychotherapists do not refer to people coming to see them as “patients”, but as “clients”, which emphasises a relationship of equality between the therapist and the person seeking help. When clients come to see a therapist, they don’t come for an examination, as with a doctor, but for a therapy “session”. 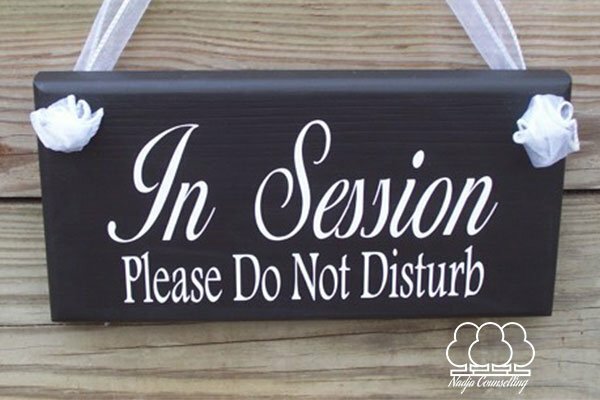 Such a “session” typically last between 50 and 60 minutes and is repeated once a week at the same time and place to ensure the continuity of support. Psychodynamic therapy. This is a modern name for psychoanalysis, which most people have heard of and usually connect with Freud. This form of therapy focuses on memories and experiences from early childhood, subconscious instincts and relationships with the primary family, i.e. the mother and the father. Since Freud was the pioneer of psychotherapy as such, all forms of psychotherapy, no matter how far the different they may have diverged from his ideas, attach special importance to early childhood experiences and the parent-child relationship, treated as the reference point for all other relationships that we form during our lifetime. Psychodynamic therapy does not limit the possible number of sessions and can continue for years. Cognitive-behavioural therapy (CBT) is a therapy which deals with cognition (thought) and behaviour, i.e. the reasons why certain thoughts drive us to act in a certain way (e.g. I am afraid of spiders (thought), so I run when I see one (behaviour)) and how by changing our behaviour in a given situation we can change our thoughts and vice versa. CBT is a short therapy focussed on a specific problem and uses very specific goals and programme to resolve that problem. 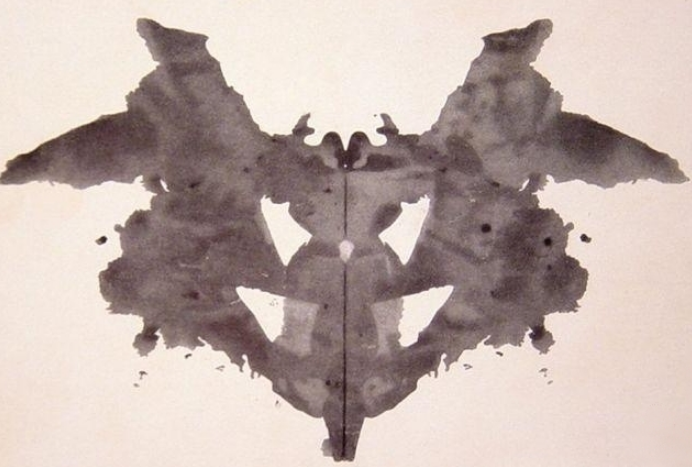 This form of psychotherapy has its origins in cognitive psychology. Like psychology, it uses substantive tests, and is therefore considered to be the most “scientific” of all types of psychotherapy. CBT’s effectiveness can be measured by tests taken at the beginning and at the end of the therapy. For these reasons, CBT takes place in blocks of 6 or 12 sessions and can be provided as part of general healthcare (e.g. the National Health Service in the UK offers CBT). CBT is very useful when dealing with a single specific issue that needs resolving, such as any kind of phobia or the obsessive-compulsive disorder, in which the main problem is precisely obsessive thought followed by compulsive behaviour linked with that thought. CBT is also very helpful for severely depressed clients whose daily functioning, sleep, food and/or hygiene are impaired and a modification of behaviour is required before the client can turn to another form of therapy dealing with the causes of the depression itself. Humanistic psychotherapies (person-centred, Gestalt, and similar) focus on the concept of functional therapeutic relationship with the client which I mentioned above. Humanist therapies are based on that relationship, seeking to verbalize and analyse what is happening here and now, i.e. in the therapy room, and then to apply those findings to the client’s other relationships in life. There are many other branches and sub-branches of psychotherapy, but most of them fall within one of the three main methodologies described above. My own approach, known as Integrative Psychotherapy”, combines the methods and theories of all three main forms of therapy, deploying them based on the needs of every individual client in a specific situation. The most important part of therapy for me is to create a good therapeutic relationship with the client, which means providing the client with a secure and confidential space in which they would be comfortable to talk everything that bothers them, including the most intimate things. In this respect, it is of great importance that the client know that I will not judge them no matter what they say in therapy, and that everything they say in therapy will stay in therapy. Empathy. Another key concept in any form of psychotherapy is that of empathy. Empathy differs from “sympathy”, i.e. a feeling of pity and sorrow for another person’s misfortune. Rather, empathy is the ability to understand and share the feelings of another person, to put yourself in their shoes, while remaining an external observer. Empathy enables us to perceive others in a more humane and non-judgmental manner and is an essential skill of any psychotherapist, and one that psychotherapists seek to pass on to their clients. Being empathetic towards yourself – i.e. not judging yourself for certain acts and decisions made in the past, based on past knowledge and understanding – can be the key to overcoming many psychological problems. E. Berne, Games people play, Pinguin, 1973. G. le Bon, Psychology of Crowds, Sparkling Books Limited, 2009. E.Fromm, The art of being, Robinson, 1993. I. Yalom, Love’s executioner and other tales of psychotherapy, Penguin, 2013. Skynner, Cleese, Families and how to survive them, Methuen, 1984. In order to arrange your session please email me and we will arrange a time convenient for both of us to have our first session depending on our availabilities and the relevant time zones.